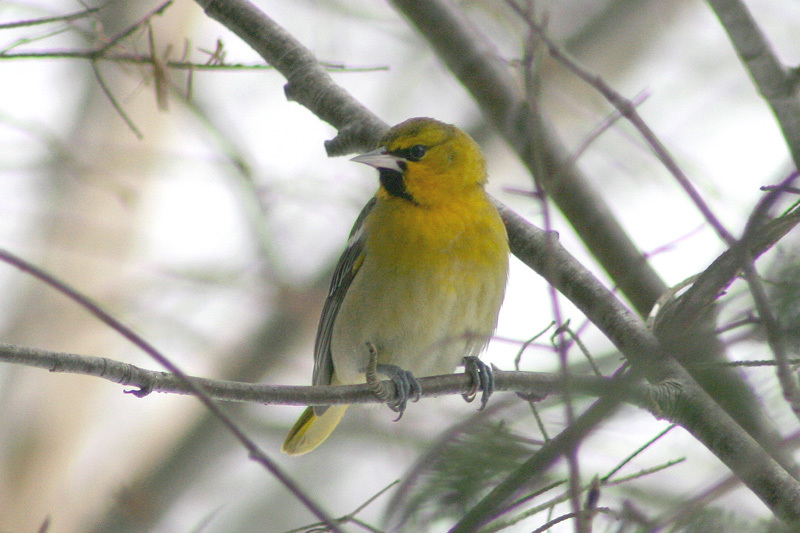 This immature male Bullock’s Oriole spent five weeks at a feeder in St. John’s from December 18, 2007 – January 25, 2008. Origins: Breeds across the western United States and southwest portions of Canada. It is a close relative of the Baltimore Oriole (I. galbula), and was once considered the same species (Northern Oriole). Record Details: Two records for Newfoundland. (1) An immature male visited a feeder in downtown St. John’s from December 18, 2007 – January 25, 2008 (when it died competing for food with robins). (2) An immature/female type was photographed visiting a private feeder in St. John’s on Feb 29, 2016 and was seen sporadically over the following weeks.